“Holi ke din dil khil jaate hain, rango me rang mil jaate hain." 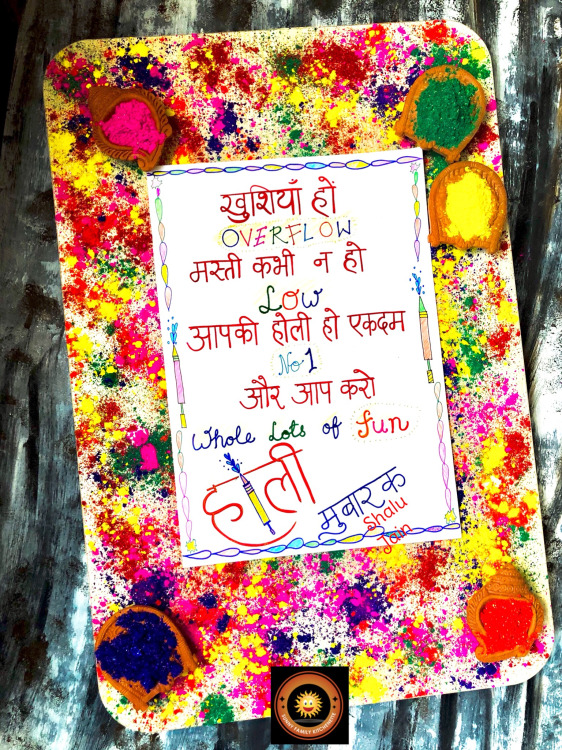 This one line perfectly sums up the colorful essence of this ‘rangila’ colorful festival. Let’s paint this World with beautiful colors of joy, happiness, smiles and laughter. 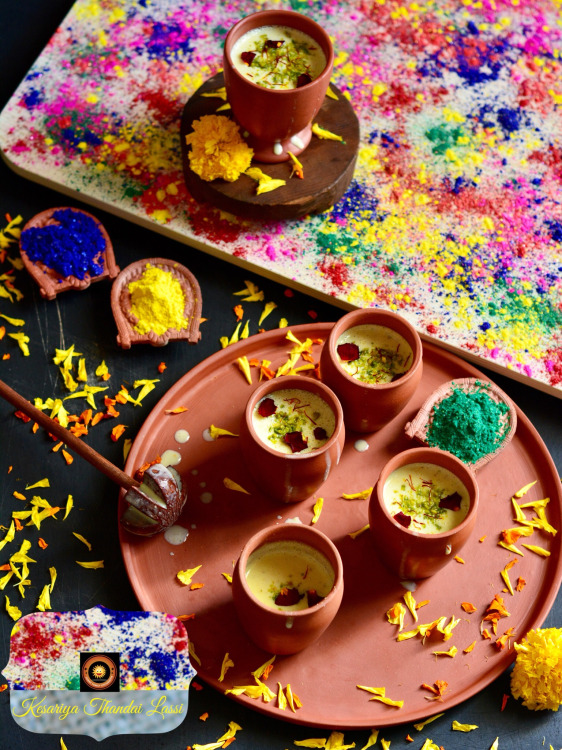 With Holi, the festival of colors, just round the corner, I am sure every household is gearing up to prepare their favorite sweets. 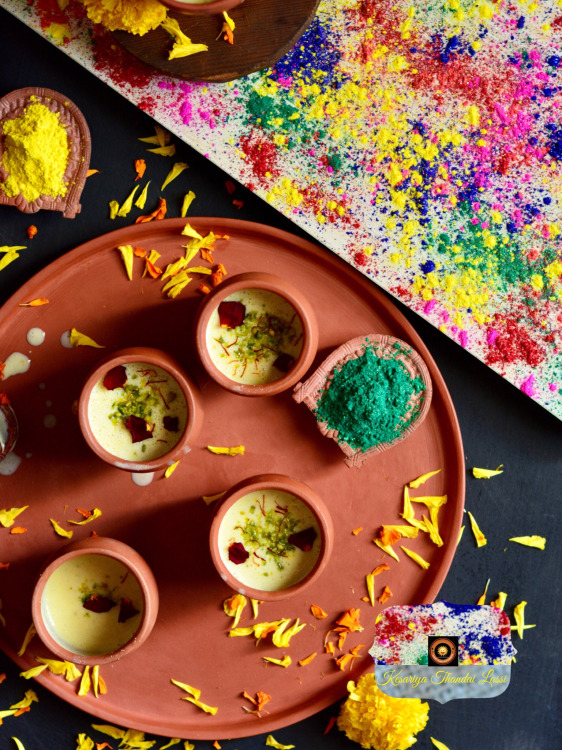 No Indian festival is complete without the delicious treats for family and friends. And the most quintessential drink during this time of the year is 'Thandai'. 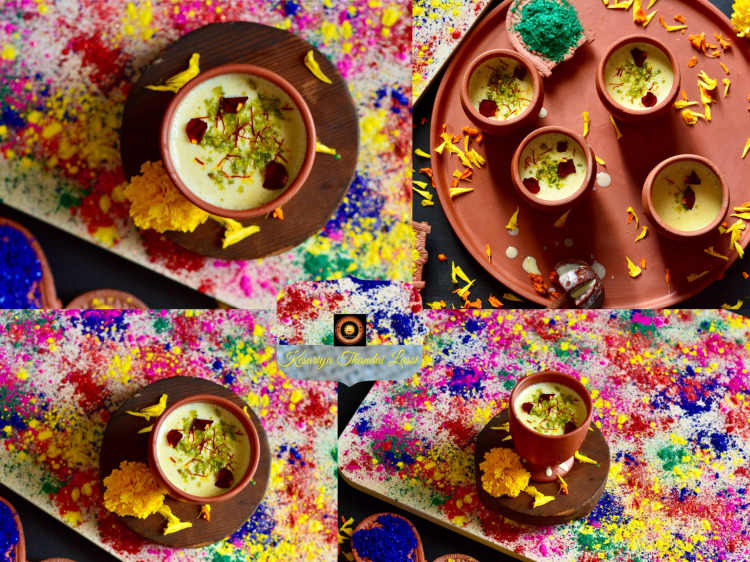 There are many recipes on my blog wherein I have used this Thandai powder to create magic. In fact you can check this link to make your very own Thandai Powder. Homemade is always the best, isn’t it? This recipe is not only very simple and easy to make but it is very delicious and flavorful too. 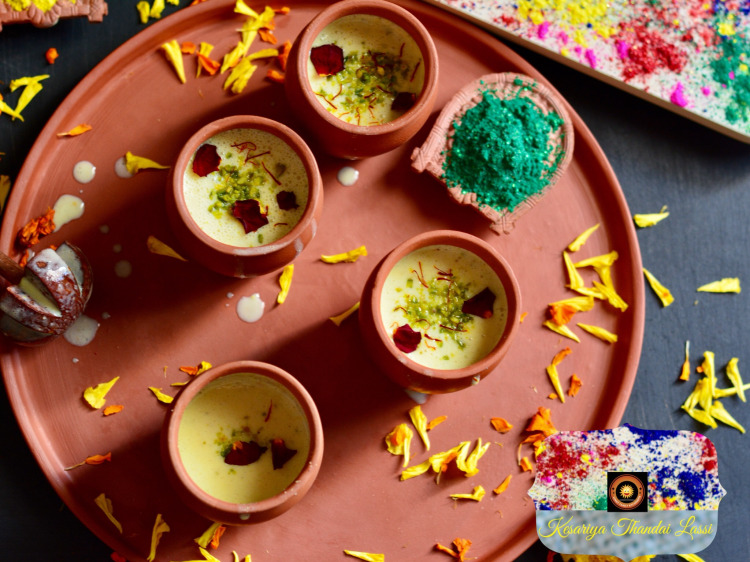 You just need a few ingredients and a few minutes to make this scrumptious Lassi. 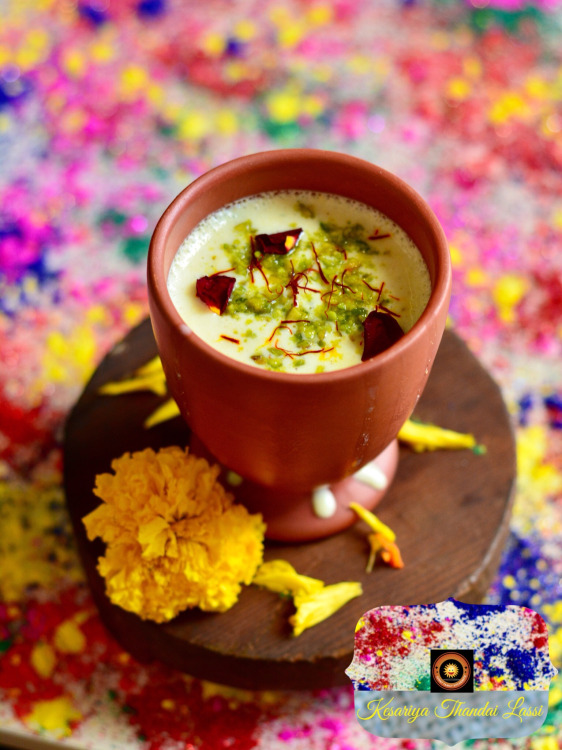 Lip smackingly delicious Lassi or Buttermilk made with the flavorful thandai and saffron. 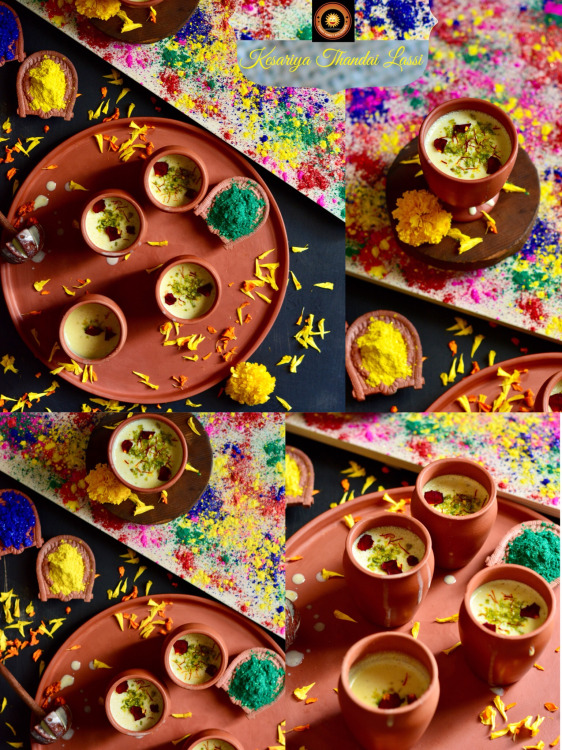 A must make during this festive time of Holi. Soak saffron strands in lukewarm milk for 10-15 minutes. In the meantime blend together yogurt with cold water. You can use hand blender with whisk attachment or you can use whisk too. Add in powdered sugar, Thandai powder, cardamom powder and Saunff powder. Next, add soaked saffron milk in the prepared mixture. Put few ice cubes in a glass. Pour in the prepared Lassi. Garnish with pistachios, saffron strands and rose petals.